The beautiful shores of Baja California continue to beckon travelers with their dramatic coastlines and warm waters, and countless visitors find their own paradise in this Mexican vacation destination every year. Cabo San Lucas is one of Mexico's most popular vacation destinations, as it boasts stunning beaches, breathtaking sunsets, and world-class resorts. 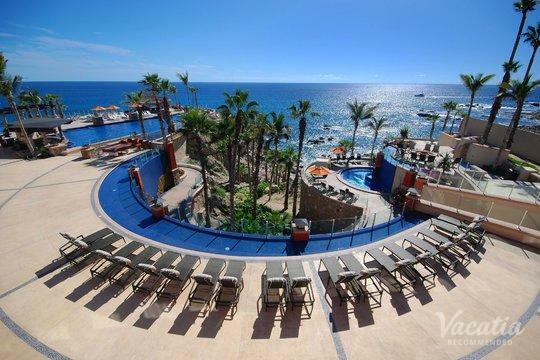 If you want to stay at one of the most desirable locations in Cabo, you should work with Vacatia to book your stay at one of the best resorts in Cabo Bello. Widely regarded as one of Baja California's most beautiful beaches, Cabo Bello is a destination that will capture your heart from the moment you arrive. You could make the most of your time in Baja California by staying at one of the best Cabo Bello rentals available, because Vacatia can help you find the perfect Cabo San Lucas vacation rental for your stay. Vacatia strives to provide travelers with high quality vacation rentals in some of the world's most stunning vacation destinations, and Vacatia can easily help you find your own home away from home in this Mexico beachside paradise. Cabo San Lucas is home to some of the most picturesque beaches in Mexico, and its dramatic rock outcrops and white sand beaches provide a feast for the eyes. Whether you want to spend your days in Cabo relaxing on the beach and by the resort pool or you want to pack your days with water activities and sports, Cabo is the perfect place for your next sun-soaked vacation. There's no shortage of things to do or see in Cabo San Lucas, which is why so many visitors continue to fall in love with this Baja California jewel. Rather than choosing to stay at one of the Cabo Bello hotels during your upcoming Cabo San Lucas vacation, you should work with Vacatia to find a spacious, comfortable vacation rental in this ideal destination. Vacatia's unique rental properties feature the space and the comfort of a home as well as the luxuries of a resort. When you stay at one of Vacatia's rentals in Cabo Bello, you will have your own private kitchen and added living area, and this just might make you feel as if you're living in this beautiful beachside town rather than just visiting. Cabo Bello is one of the most desirable locations in Cabo San Lucas, as this private beach is calm, clean, and beautiful. If you want to soak in the warm Mexico sunshine and the witness the breathtaking natural vistas of this beachside paradise, then there is no better place to stay than Cabo Bello. From snorkeling to swimming, Cabo Bello is an ideal beach destination where you can escape the crowds of the public beaches in Cabo San Lucas. If you want to make the most of your time in Cabo San Lucas, you should work with Vacatia to find your dream vacation rental in Cabo Bello. Vacatia can help elevate the quality of your Cabo San Lucas getaway so that your time in Baja California is unforgettable.